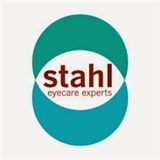 Stahl Eyecare Experts (Hauppauge) - Book Appointment Online! In practice for more than two decades, our physicians have performed over 40,000 laser vision correction procedures. In addition, we have helped our patients by providing expert care in everything ranging from routine eye examinations to contact lenses and microsurgical cataract, glaucoma, retina, and ophthalmic plastic procedures, including Botox. We are experts in caring for vision and for ou patients, believing that we live better and safer lives when we see better. As a community service initiative, we performed over 500 LASIK procedures on New York's firefighters. Helping them see better, without being dependent on glasses or contacts, helps all of us to be safer. Short wait, courteous staff, good doc, clean office.